I very often wonder what the obsession is with everyone and their retractable dog leashes. To be honest I do know, I just cannot understand why users don’t see the downsides, especially when I watch them struggling. Also known as flexi leashes, most people I see, and I see a lot, should not be using them, not realising they are accidents waiting to happen. 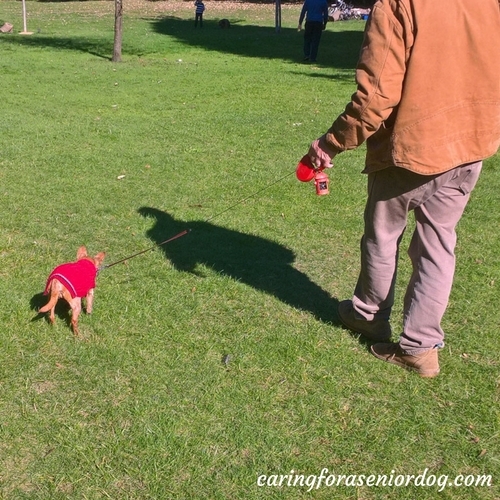 You may think that none of this applies if you have a senior dog, but contrary to what seems to be popular belief…not every senior dog is old and housebound. 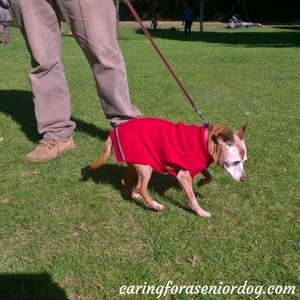 I have seen plenty of high energy dogs that are only classed as “senior” because of a number, no other reason. can be extended. The further away from you your dog goes, the more the cord will extend, when he gets closer to you, the cord will spring back into its’ casing. The button can also be locked in place to keep the length constant. There are various sizes of flexi leashes to accommodate all dogs, which affects the size of the casing, the width and sturdiness of the cord. Why do so many use it? It prevents/reduces the chances of their untrained dog yanking their guardian’s arm out of its’ socket, because they pull too much on a regular leash. It gives their dog freedom to walk and explore wherever they want, yet not as free as off leash so they’re safer. That’s the belief anyway! slowest dog, a flexi leash gave Red freedom to explore while waiting for our other dog to catch up, and I’ve kept her on it ever since because she prefers it. The only other circumstances I would use one are for any other slow old dogs we would adopt. Coming from an abusive background (and who knows what else! ), he does react at times when out walking. Although he’s 1000 times better than he was and doing incredibly well, if he gets scared or nervous, keeping him walking nicely by my side is safest for everyone. I want to create as many scenarios as possible that will set him up for success, not failure. The roads immediately surrounding where we live do have traffic, but not high volumes. Living so close to the beach means I see tons of dogs and their humans every day, and that means tons of people struggling with their flexi leashes. I’ll never get over how ridiculous they look, but I only offer advice if we’re chatting and I can work it into the conversation. Unsolicited advice never goes down well, and it certainly never begins, or ends, with the words “thank you.” I’ll let you guess what they are!! I have seen too many dogs try, with some succeeding, to get into the road, or go after another dog, and the person at the end of that leash is grabbing onto the cord, trying to control them. That is bad on so many levels. First of all, have you ever tried to grab the cord? Ever heard of rope burns? Never mind the fact that when your dog is lunging or running off the sidewalk from 16’ in front of you, you have no hope of preventing that scenario. Yet people persevere. I was watching a man a few weeks ago holding onto his flexi leash, running like a lunatic to keep after his dog who was so far ahead of him there was no more cord left. When we chatted later, and I offered to help him train his dog (of course he thought he knew better and declined!) he tried to convince me he was running with his dog. First of all, I didn’t need convincing, but that was so far from “going for a run” and more like a man who never trained his dog (he admitted that to me), trying to keep up. No matter how much you spent on your flexi leash, and what weight of dog it claims to support, enough pulling on the fully extended cord, it will break off and your dog will be gone. I have personally witnessed this twice. Although I believe the example I am going to mention was just a freak accident, I want to talk about it anyway, so you’ll see how important it is to keep a firm grip on the handle. Many years ago, an older woman I knew was taking care of a friend’s puppy. The leash was extended quite a bit because the puppy was busy exploring. The woman didn’t have her hand fully grasping that handle (your fingers need to be curled around it for added safety) and it dropped, retracted, smashed into the puppy’s head and killed her. Believe it or not, I didn’t write this to scare you, and I do believe it’s rare, it is a good lesson in the importance of hanging on to it. I’m sure your dogs are well behaved, and of course I believe you when you say they would never chase a squirrel or a fox! Yes they love every dog and would never go after a child. They’re several feet ahead of you, and one of the above unthinkable scenarios happens. Do you honestly believe you have any control over your dog taking two steps to the side, and ending up in front of a car? Impossible. You cannot yank a dog out of harm’s way quickly with a flexi leash that is extended. Just the other day I was out with Jack, and saw this small dog being walked on a flexi leash. He was running back and forth from one side of the pavement to the other, sniffing this and that, crossing in front and behind of the woman walking him. I literally stopped, fascinated with watching her constantly switching the leash from one hand to the other. That would have driven me mad!! I wondered why that didn’t drive her crazy, not to mention how many times she almost ended up flat on her face. What about the rescue you just adopted? You have no idea how well trained he is, if he goes after kids, bikes, cats, how nicely he walks on a leash. It is too dangerous to use a flexi leash with a dog you know nothing about. You are responsible for keeping him, and everyone around him, safe, not something you can do unless you’re using a 4’, 5′ or 6’ leash. How about that new puppy? I would say at least 90% of the people I see with puppies have them on a flexi leash. They’re running from side to side, pulling, and yes causing a trip hazard, not to mention their near encounters with cars. I guess I can’t help but wonder if they are providing their dogs with any other type of training. Sorry – it’s a hazard of my job to be concerned with animals and their welfare!! You have a dog you haven’t trained to walk nicely on a leash, or a newly adopted one that was never trained. You don’t think it’s necessary because you have that wonderful retractable leash and off you go. Time passes, they get bigger, stronger or just more unruly. Walking him becomes a bigger nightmare with each passing day, because every time you go out he’s pulling more and more. Walks get shorter, then more infrequent, until one day they stop and your dog ends up spending his time alone in the garden. He’s bored out of his mind because he gets no physical exercise or mental stimulation, and he turns destructive. He chews through fences, digs holes in your yard, and terrorises your neighbours and their children by trying to jump over, what should be, a too high fence. What happens next? He’s badly behaved inside the house, and driving you all crazy. People stop coming to visit because he’s impossible to be around, and when you can’t take it anymore you drop him off at your local shelter, where the chances are not good he will leave there alive. I have no doubt many of you reading this article will be shaking your head, thinking I’m being overly dramatic, or exaggerating, and you may even have stopped reading already. Well, I can assure you this is a very common occurrence, and yes, it is very sad. 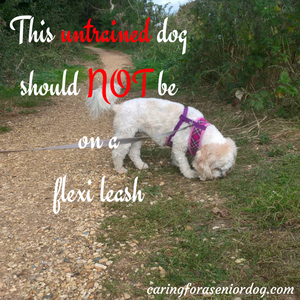 In what situations should extendable leashes be avoided? It is definitely not suited for dogs that are aggressive, fearful, not trained, or puppies. I also don’t believe they are suitable for even the sweetest, most well behaved dogs in the world, because they’re still dogs and one day something will catch their fancy and they’ll be off. 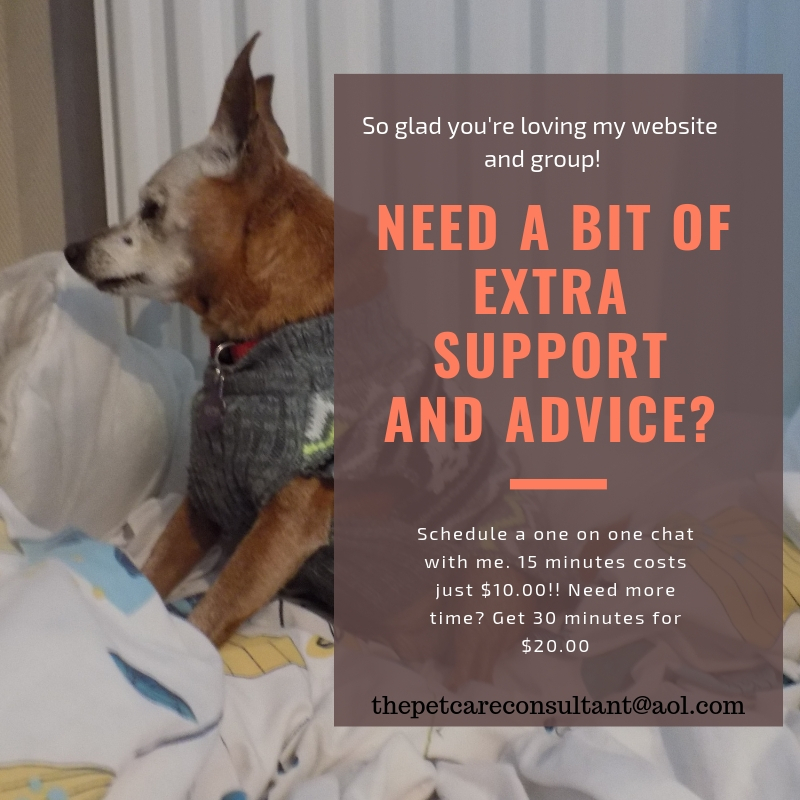 I’ve been focusing on what your dog will do, but how about someone else’s? Plenty of people don’t care very much about training, and there are aggressive dogs out there (through no fault of their own I might add! ), that are nasty encounters waiting to happen. Do you really want to put your dog at risk by confronting an aggressive dog, without having a way to protect him? A standard nylon (I say nylon because I don’t buy leather) 4′, 5′ or 6’ dog leash is what you need to teach your dog to walk well, and will give you control should the need arise. The length will depend on your personal preference. I find 4′ leashes are a bit short for my taste, so I buy 5′ leashes when I can find them, or 6′ but have to wrap it around my hand several times. I agree with you, this was a very heavy article, and yes I probably sound a bit tough. But as a dog trainer and dog behaviour consultant, it is very hard for me to stand by and watch. No I don’t believe one little device can wreak havoc, it’s the people who are using them and what they are not doing, that is causing my concern. I hope that by reading about retractable dog leashes you will take a closer look at your own situation, and really judge whether or not they are the best tool for you and your dog. I couldn’t agree with you more. I cringe when I see people out walking their so-called well-behaved pooch. Well if he or she is so well behave, why is the dog 20 feet away from you? You haven’t got any control whatsoever. Years ago I go the worst rope burn, so I can relate to yanking on those cords and ripping apart your hands. A 10-year old Lab was being walked by one of the pet sitters at the company I work part time for and she was out for a casual stroll, Or so she thought. He saw a squirrel and went to take off. She wasn’t able to let go immediately and was dragged a bit, but she dislocated her hip. Then I was reset but then incorrectly, and ultimately she had to have her hip replaced and she was only about 30. The poor woman is going to have to get hip operations for life now, and he was supposed to be a mellow senior dog. They’re just downright dangerous for everyone involved. Hi Lindsay, thanks for your feedback!! I do think they have a place, but for small old dogs, that’s about it. A lab is still a big powerful dog, so sad for the dog walker to go through all that. I understand why people use them, but what shocks me is the fact that after all the near misses, and dogs yanking on the lead from 6′ away, it doesn’t dawn on anyone to try a regular leash and train their dog to walk nicely. It’s so hard for me to not say anything, but I keep my mouth shut unless we’re chatting and I can work it into the conversation. Even then I don’t have much faith that they listen, but you never know!! I think it’s ok (not great, but ok 😀 ) for small dogs, but sometimes I see people with 30kg dogs on these leashes and it’s just horrible. How can you control a 30-50kg dog 10meter from where you stand? Lovely article!! Couldn’t agree more! !